The Lee style of Tai Ji Quan(tai chi chuan) is closely related to a range of disciplines of Taoist Arts taught within the Lee style including Chi Kung, Tao Yin, Chinese Macrobiotics, Traditional Chinese Medicine, Taoist alchemy, Feng Shou Kung Fu, and weapons practice. It was first brought to the West in the 1930s and was popularized by Chee Soo who was the President of the International Taoist Society from 1958 until his death in 1994. 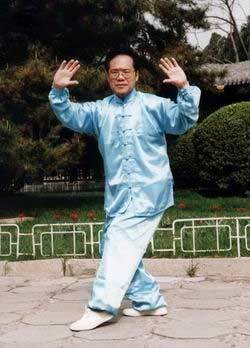 The Lee style of Tai Ji Quan(tai chi chuan) comprises two forms known as 'the dance' and 'the form', I Fou Shou or 'sticky hands' technique, Whirling Hands, Whirling Arms, and various Chi and Li development exercises. Although Lee style Tai Chi is undeniably related to Martial Arts training, there are in actual fact five distinct areas of development that comprise the whole Art: 1.Physical, 2.Mental, 3.Breathing, 4.Sheng Chi (Internal energy) and 5.Ching Sheng Li (External energy).